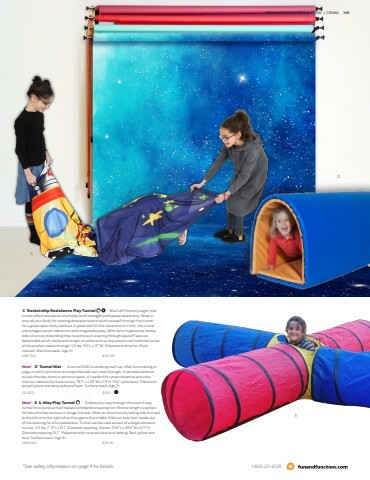 Sensory spaces work great for homework time and studying because there are fewer distractions. If sit- ting still is a challenge, try a wiggle seat cushion or therapy ball in place of a standard chair. Alternative seating allows kids to move and organize their sen- sory systems while they think. A metronome or Time- Timer can help them stay on task. To help kids focus, keep all these tools within arm’s reach in a basket or storage container. Find more tips on designing your at-home sensory space at funandfunction.com/blog.